Barrington Park Estate runs a flock of Lleyn sheep and a herd of Aberdeen Angus x South Devon cattle. Our 500 Lleyn ewes graze exclusively outdoors throughout the year on pasture and clover leys undersown with a variety of herbs to provide increased levels of minerals and vitamins. The diverse range of grasses, herbs and clovers not only provide a rich diet for sheep and cattle but also create a fabulous environment for butterflies, bees, ladybirds and other beneficial insect life. Lambs are born outside in May and thrive on their mothers' milk and rich pasture. Breeding policy is underpinned by selecting ewes with strong maternal instincts, enabling our sheep to lamb outdoors with minimal assistance. 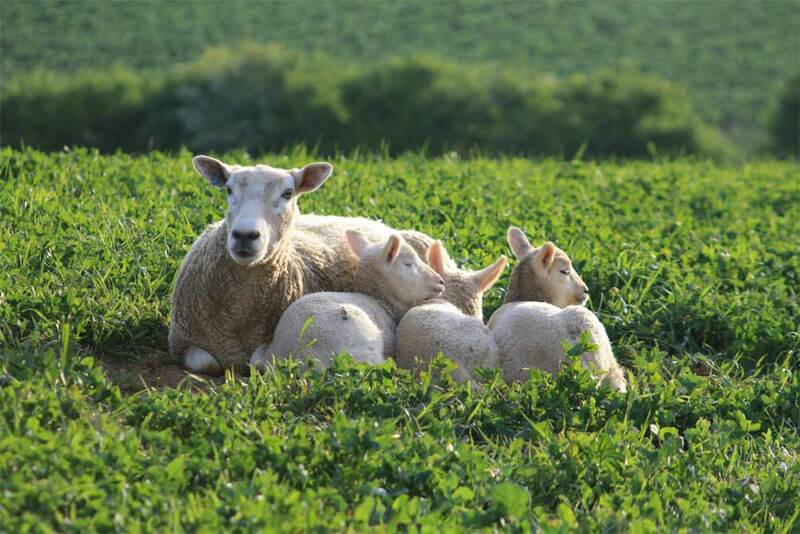 Lambs are sold through Graig Producers, a dedicated organic livestock marketing group later in the year. 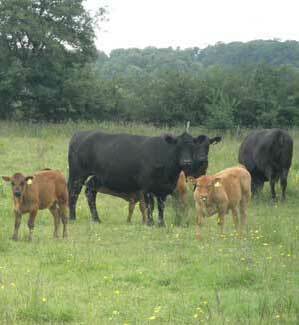 Our cattle are a cross between Aberdeen Angus and South Devon native breeds, producing superior quality beef. 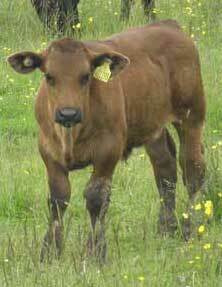 Cows calve in April, rearing their calves on the rich pastures up to weaning in October. Cows and young stock are housed during the winter and raised on a diet of organic silage, hay and home-milled barley, beans and minerals before going out to grass again in the spring. There are currently two pedigree South Devon bulls, Patrician and Leonard and two Aberdeen Angus bulls, Revelation and Axle. The bulls join the cows at grass during the summer. Beef is sold through Graig Producers when the cattle are around two years old.